Xiaomi seems serious about challenging Apple, Samsung and Huawei with a powerful camera smartphone. Xiaomi makes the most competitive and affordable smartphones in the market, but its devices are not really known for their camera prowess. That could change soon with the company planning to introduce a device with 48-megapixel camera next year. 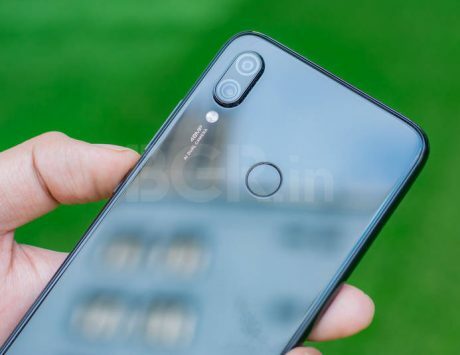 Lin Bin, President of Xiaomi, posted on Weibo that the Chinese smartphone maker is working to release a smartphone with 48-megapixel camera. He even went on to reveal that the smartphone with such high resolution camera will arrive in the market in January 2019. Post Bin’s announcement on Weibo, MIUI officially confirmed that the smartphone is running the MIUI 10 system, which could be based on Android Pie and not Android Oreo. 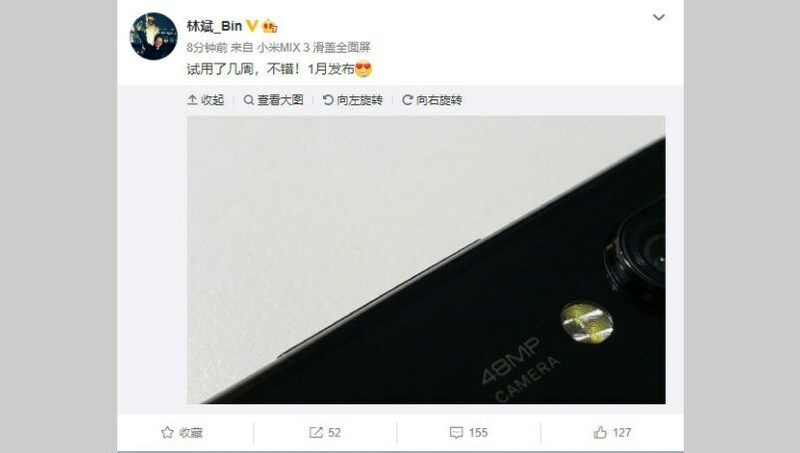 Bin also posted a picture which shows a smartphone with the “48MP Camera” clearly visible in the frame. There seems to be a big sensor on its side along with a dedicated LED flash. “Trying for a few weeks, not bad!,” Bin wrote in one of the accompanying post, according to Gizchina. 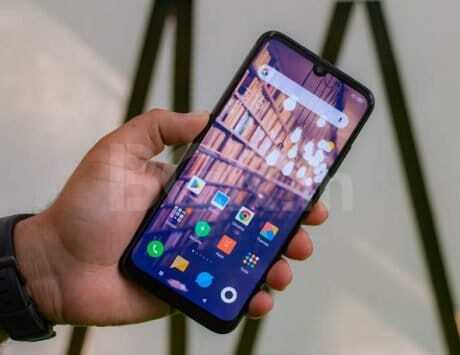 If this turns out to be true then we will see Xiaomi beating Huawei, which offers a real 40-megapixel sensor on its flagship devices, the Mate 20 Pro and the P20 Pro. It is not immediately clear whether we are looking at a true 48-megapixel camera or the company will use oversampling to create a 48-megapixel image. In the past, smartphone makers have misled consumers by offering a different specification and using technical terms to overstate the features. It only makes sense to wait for Xiaomi to officially reveal the smartphone next month. Based on industry trends, there is a possibility that Xiaomi will use the 48-megapixel CMOS sensor that has been publicly released by both Sony and Samsung. Sony’s IMX586 sensor is capable of 48-megapixel images while the ISOCELL Plus GM1 from Samsung is also equally capable. The IMX586 uses a 1/2-inch sensor with 0.8 micron per pixel and support for four-pixel synthesis. This sensor is also capable of recording 4K videos at 90 frames per second. Samsung ISOCELL Pls GM1, on the other hand, also comes with a 0.8 micron per pixel unit and supports four-pixel synthesis like Sony. The sensitivities of these sensors are equivalent to 12-megapixel and a single pixel size is 1.6 micron. Huawei‘s 40-megapixel sensor is larger at 1.7 micron pixel pixel. Xiaomi is most likely to go with Sony IMX586 for its 48-megapixel camera smartphone since the Japanese giant is the leader in this space. 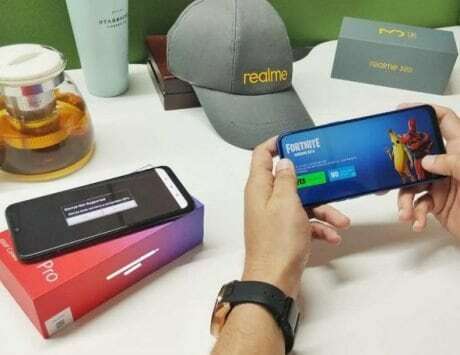 The Chinese smartphone maker is also said to be working with Qualcomm to launch Snapdragon 855 powered smartphones, and it is not clear whether the device with 48-megapixel camera will use the latest flagship processor from Qualcomm or go with older Snapdragon chip.